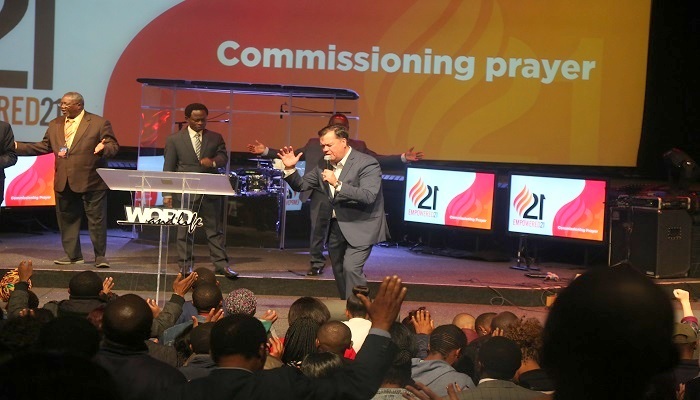 The Empowered21 Conference which took place recently in Johannesburg, South Africa, ended with a call on Christian youth to win souls for Christ. Speaking at the closing ceremony which was attended by thousands of young people all over South Africa, the President of Ghana Pentecostal and Charismatic Council (GPCC) and CO-Chair of Empowered21 Africa Congress, Apostle Professor Opoku Onyinah, called on young people to make room in their lives to take the gospel to the unreached souls of the world. Apostle Opoku Onyinah, who is also the outgoing Chairman of The Church of Pentecost, said the 2033 Agenda for Empowered21 to reach the world’s people with the gospel requires the participation of all young Christians around the world, including Africa. On his part, the Co-Chair of Empowered21 Global Congress, Dr. Billy Wilson, urged the youth to go to the world and evangelise. Best days are ahead of us, he said, as he commissioned the young people in prayers to go to the world and preach the gospel. Pastor Daniela Freizdon MacCabee also led a powerful prayer session for young people. Dr. Frank Chikane, Co-Chair of Empowered21 Africa commended the Africa cabinet and all the various groups that worked hard for a successful conference. He was also grateful to all the Global Council members who attended the conference and participated in all the sessions. He paid glowing tribute to the host church, Word and Life Ministry in Johannesburg for their dedication and sacrifices for the conference. In all, about 7,500 people participated in the four-day conference which ended on May 19, 2018. Other speakers at the conference from Ghana included Rev. Sam Korankye Ankrah, Apostle General of the Royal House Chapel International and Vice President of the GPCC; Apostle David Nyansah Hayfron, Youth Director of The Church of Pentecost; Elder Dr. Joseph Siaw Agyepong of the Jospong Group; Rev. Dr. Emmanuel Kwesi Anim, Principal of the Pentecost Theological Seminary; Apostle Christian Tsekpoe and Apostle Samuel Yaw Antwi. Over 200 delegates from Ghana attended the conference which started on May 16. It was attended by delegates from the 14 regional cabinets of the Congress worldwide. Empowered21 is a global congress on the Holy Spirit empowerment in the 21st Century. 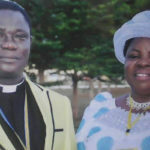 It has a target to ensure that every person on planet earth has a genuine encounter with Jesus Christ by Pentecost 2033. The last E21 Africa Global Congress was held in Accra Ghana in the year 2014. The next Global congress will take place in Jerusalem in the year 2020 while an Asia Congress is slated for Guatemala in 2019.